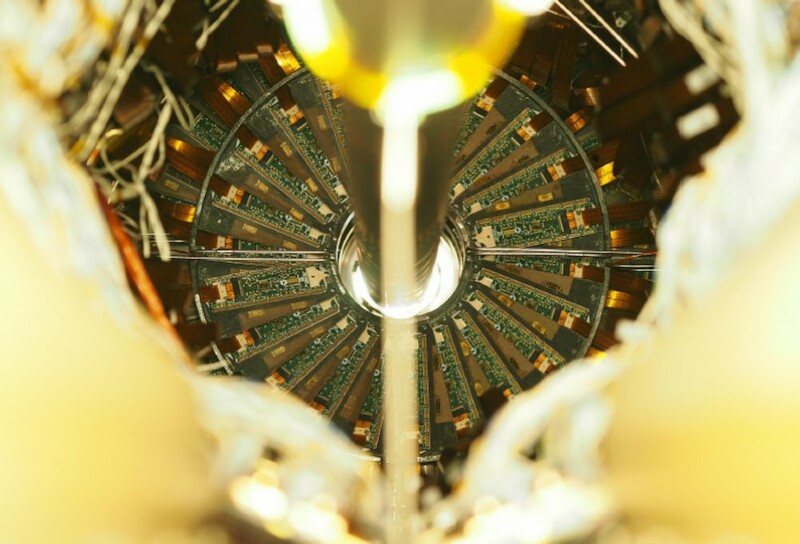 The Compact Muon Solenoid (CMS) detector operates on the Large Hadron Collider (LHC) at CERN (European Organization for Nuclear Research) in Geneva, Switzerland. The LHC speeds protons around the underground tunnel at near the speed of light and collides them with a center of mass energy ranging from 7 to 14 TeV. At this extremely high energy frontier, particle physicists search for new fundamental particles, supersymmetry, and extra dimensions. The LHC and its accompanying detectors also allow for precision studies of different particles, their processes, and their interactions. Analysis topics explored by our group at KU include the search and subsequent study of the Higgs Boson when decaying to bottom quarks, bottom quark decays, studies of singly produced top quarks, as well as searches for a t’ quark. We also help to operate the silicon tracking detector. Our group also built the new silicon pixel detector installed at CMS in 2017.